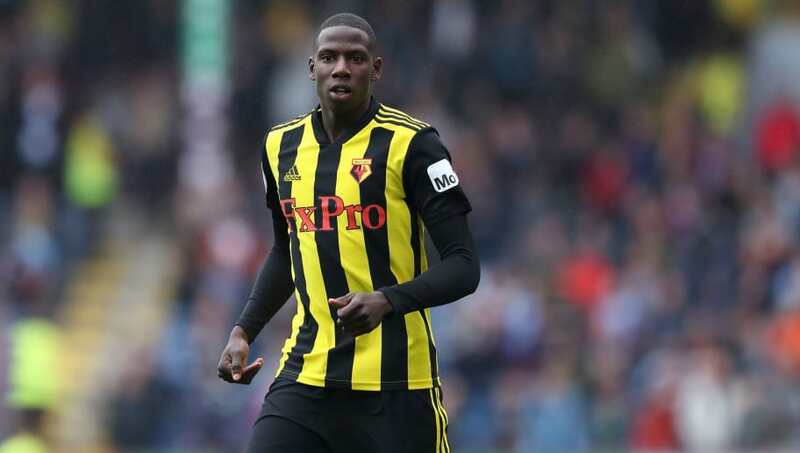 ​Tottenham are reportedly keen on Watford midfielder Abdoulaye Doucoure as a replacement for the injury prone Victor Wanyama. Wanyama was impressive during his first year at Tottenham after joining from Southampton in 2016, but missed half of last season with a cartilage injury which kept him out between August and January. He had returned to full fitness by the end of the campaign, but then sustained a knee injury in a pre-season friendly against Barcelona earlier this year. As a result, he has only played 57 minutes of Premier League football this season. Eric Dier, Mousa Dembele, Moussa Sissoko and Harry Winks have all stepped into fill the hole left by Wanyama but Dembele, the best of the four, has been linked with a move away from Tottenham next summer, so a replacement is needed. The Mirror claim that ​Tottenham have targeted ​Watford's Doucoure. The Frenchman was linked with Liverpool, Arsenal and Paris Saint-Germain over the summer but signed a new contract extension at Vicarage Road instead. Tottenham are reportedly keen on £35m-rated Watford midfielder Abdoulaye Doucoure as doubts grow over the future of Victor Wanyama. He continued to occupy that more attacking position at the start of this season, but recently reverted to his preferred defensive midfield role, and Watford's form has improved after a four-game winless run. Doucoure is yet to score this season but he has provided four assists, including for both goals in the recent 2-0 win at Wolves. He is valued at around £35m.